There are some things that you shouldn’t leave home without and sunscreen is on the top of that list, especially in the summer when the sun is at its strongest. Sunscreens use either a physical or chemical filter to protect your skin from the sun’s rays. Zinc Oxide and Titanium Dioxide are natural mineral sun blocks that sit on your skin and stop both UVA and UVB rays from penetrating your skin. Chemical sunscreens use synthetic chemicals to reflect the sun’s rays after they have penetrated the skin’s surface. 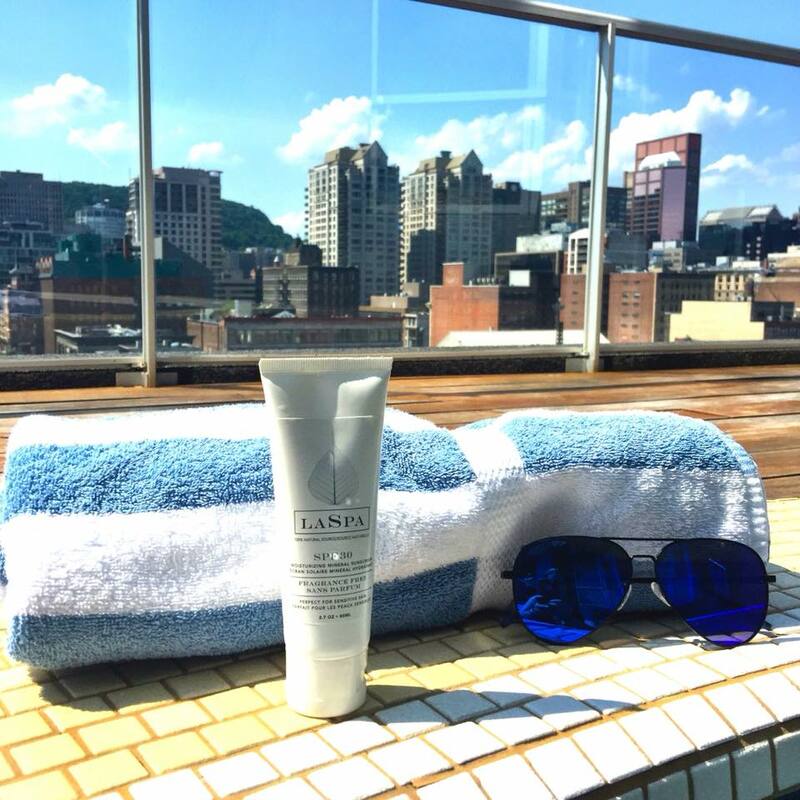 Clearly, a natural mineral sun block is best and we don’t leave home without our LASPA Mineral Sunscreen. On our recent trip to Mont Tremblant, Quebec, we used both LASPA Moisturizing Mineral Sunscreen SPF 30 and LASPA Daily Sun Protection Mineral Sunscreen SPF 20 to protect our skin. 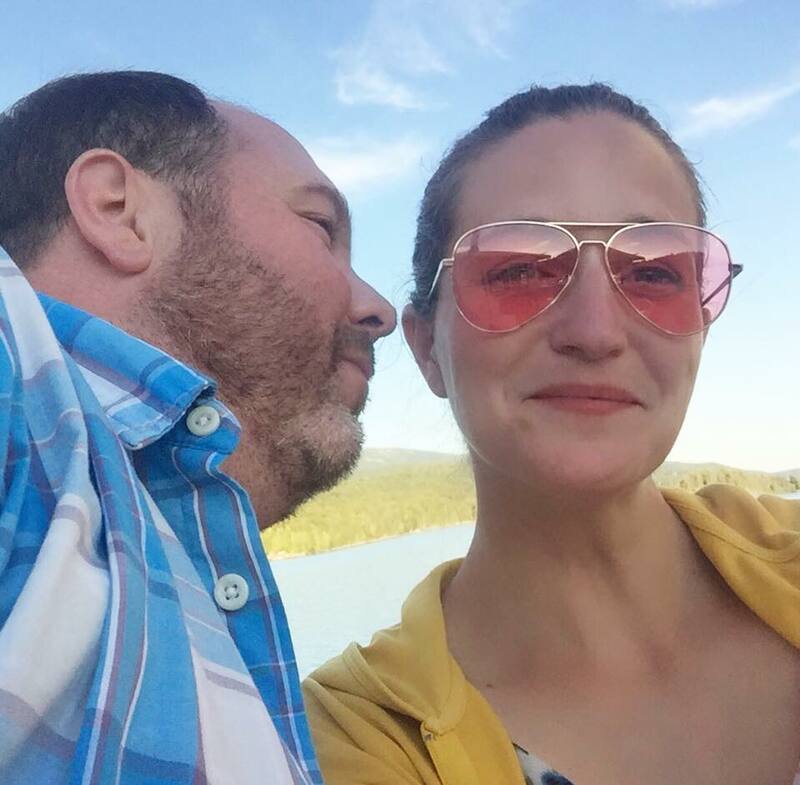 Find out how they held up during our four day trip and why LASPA sunscreen should be added to your summer travel essentials. We arrived at Mont Tremblant and spent the entire first day outdoors. 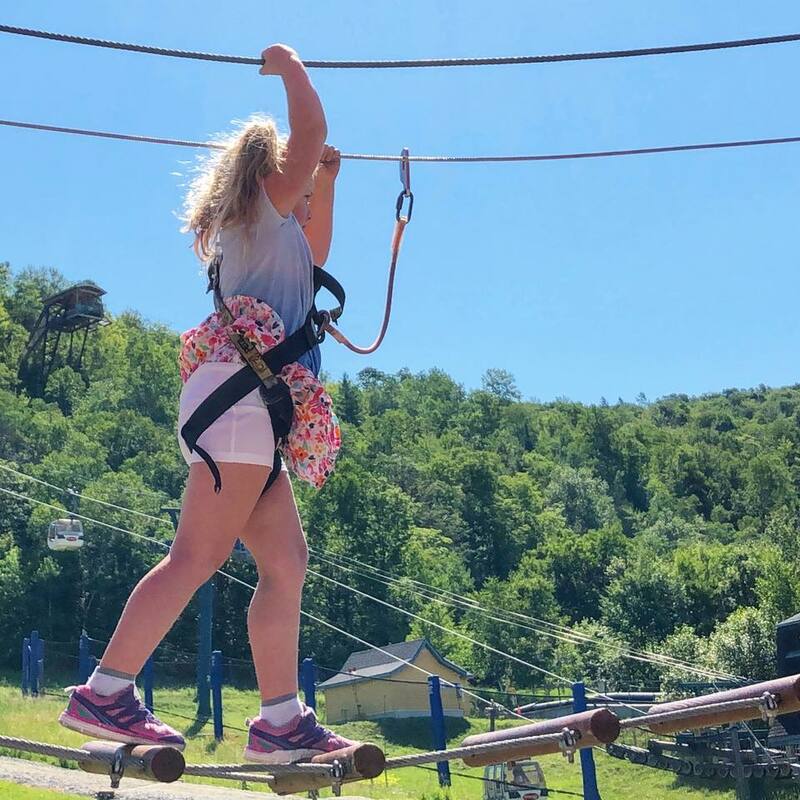 Utilizing the activity card, Athena climbed at The Akropark Junior, practiced her jumping skills on the Eurobungy, and defied a thirty foot high climbing tower. The temperatures soared above 30 degrees Celsius yet she never got burned. We applied LASPA SPF 30 before leaving the room and reapplied every two hours. Our skin felt moisturized and fresh at the end of the day. Day two was even more of a challenge. From 8 am until 10 pm, we were outside in the hot sun. 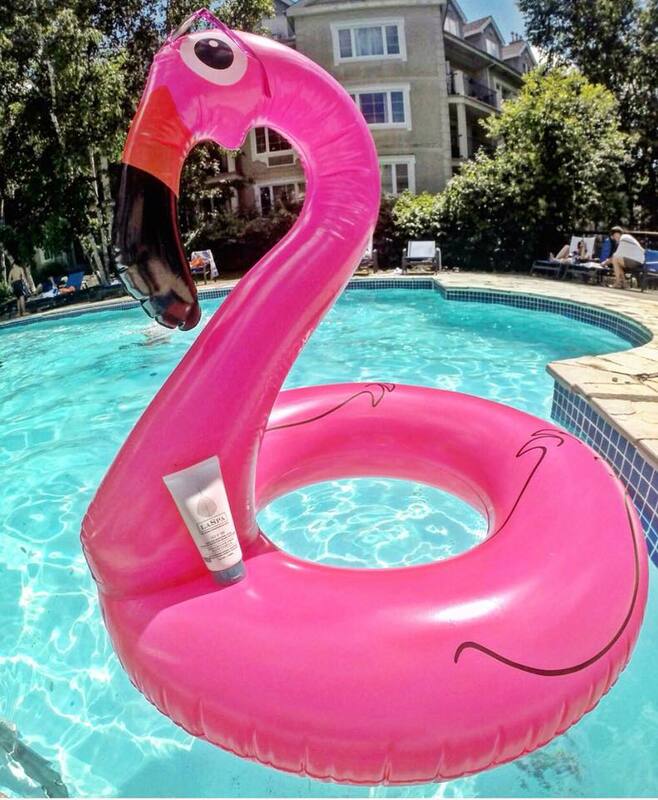 We spent hours playing in the pool with our sunscreen and sunglasses always within reach. The pool is the real testament to quality sunscreen. Climbing, jumping, and diving under the water constantly washes away any applied sunscreen. We usually have to leave the pool within an hour because one of us is starting to burn. I watched carefully for any sign of redness but it never happened. We applied LASPA SPF 30 before heading to the pool and reapplied every two hours and we never burned. LASPA SPF 30 is very water and sweat resistant. Although we used LASPA SPF 30 for most of the day, we brought along the LASPA SPF 20 for the for my mom to use under the umbrella while we splashed in the pool and for use during the evening dinner cruise. We enjoyed a sunset cruise around the lake and I applied LASPA SPF 20 under a light foundation for the evening, setting sun. When we returned to the hotel, I was shocked that LASPA SPF 20 worked so well. Because Zinc Oxide is effective immediately upon application, I didn’t need to wait after applying. Not only were we burn free but my skin felt soft without any irritations. Would you believe that day three in Mont Tremblant was the biggest sun block challenge of all? We applied LASPA SPF 30 before going on a three hour zip trek in the mountains and we still didn’t burn. 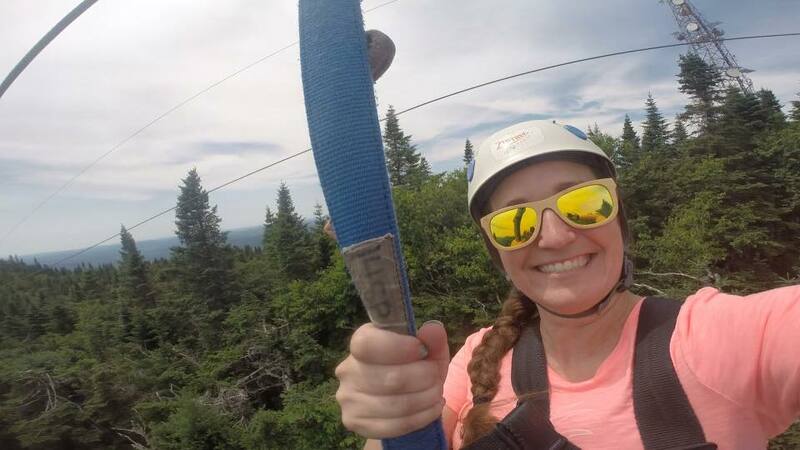 A zinc based mineral sunscreen provides Broad Spectrum UVA/UVB protection and it lasted the entire time we were ziplining. We couldn’t reapply after two hours but we were still burn free and my skin felt moisturized. With extremely sensitive skin, I want to avoid nasty compounds in sunscreens. I always avoided the sun to the point of restricting my schedule. In Mont Tremblant, we hardly went indoors yet I never burned or developed a skin rash or irritation. LASPA Daily Sun Protection Mineral Sunscreen should be added to your summer travel essentials. I won’t be leaving home without it this summer.